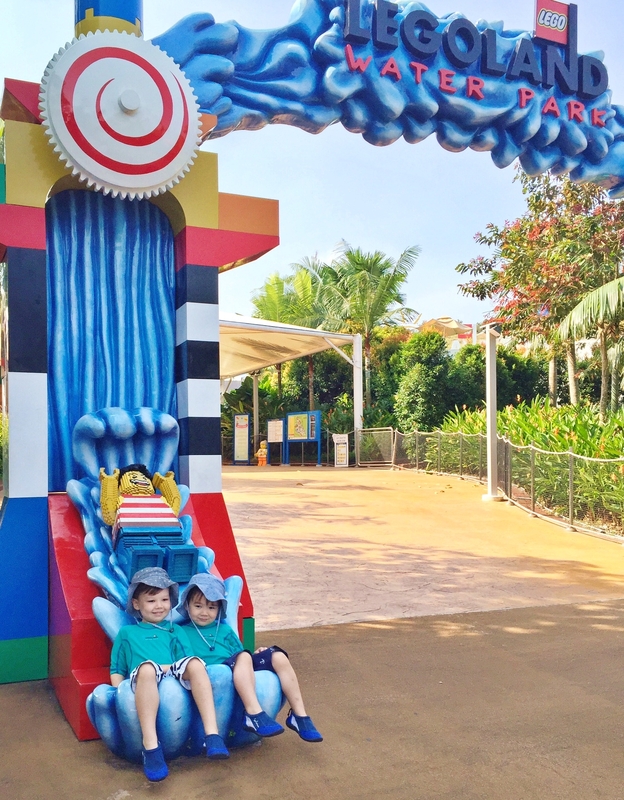 LEGOLAND – cooling down at the Waterpark | Beverly's Net: family. food. fashion. 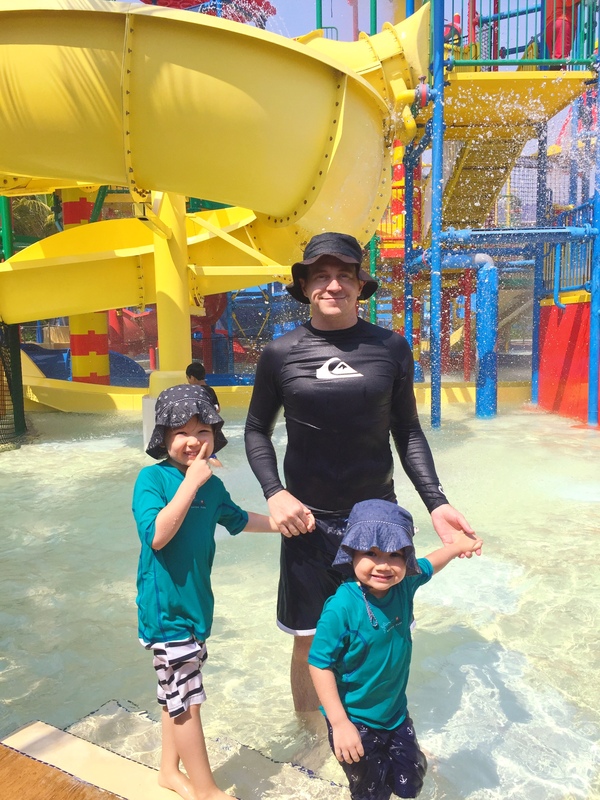 LEGOLAND – cooling down at the Waterpark – Beverly's Net: family. food. fashion. So on both days at Legoland, we hit the Waterpark at 10AM and stayed til after lunch. I can’t recommend this timing enough.. it’s fantastic cooling off in the water (though remember your sun hats and sunblock! ), and – as you can see in the above photo – very very very few people! More people arrive by about noon, but it’s all still tolerable and, at most, the more popular rides have a 3-5 minute wait. 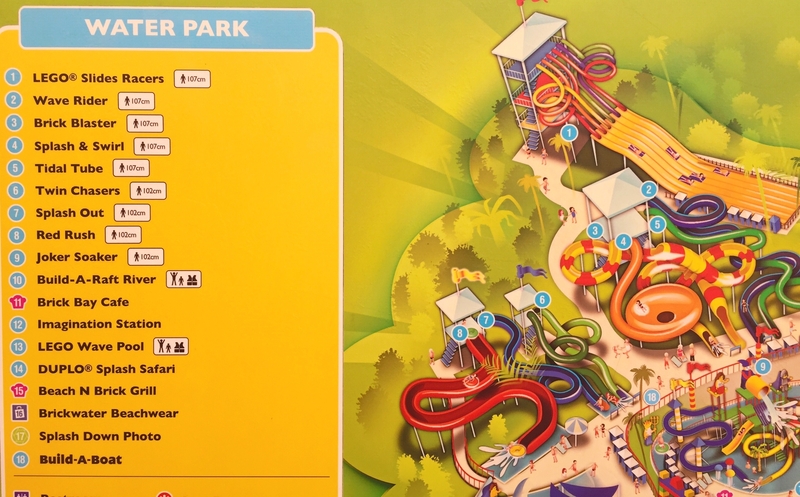 The Waterpark slides have a height limit, which you can see in the photo above. I’d highly recommend measuring your child to make sure they ‘make the cut’, because the lifeguards there are super strict! Carter, at 3 years 6 months, is exactly 101CM. This meant he juuuuuuust fell shy of the 102CM minimum. This was particularly frustrating for us because he is pretty unusual for his age in that he can swim by himself underwater (when in fact many 5 year olds still can’t swim by themselves yet! )… but despite that, he still wasn’t allowed on those slides. Not even accompanied! This was a huge bummer, as Carter was totally game for all the big slides, and kept longingly looking at them and begging to go on them. 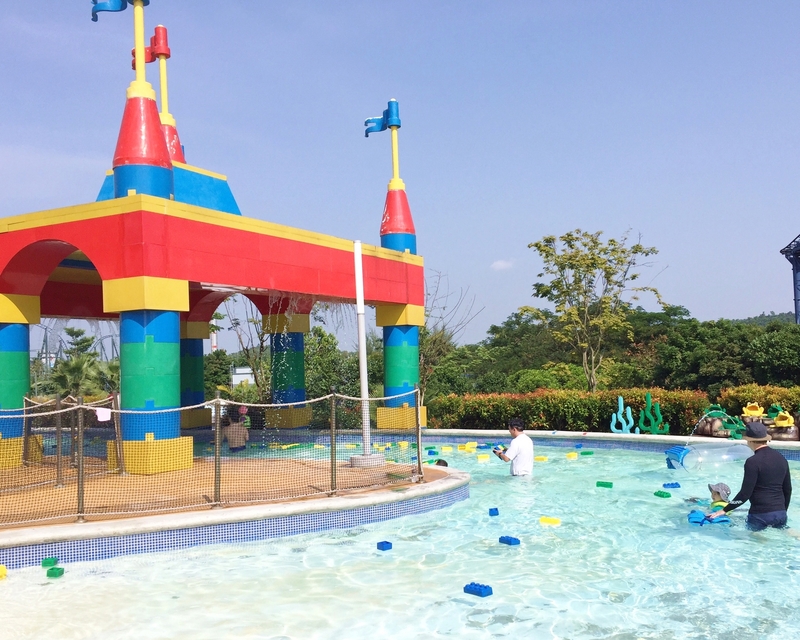 There is a very large kids play area in the middle, suitable for kids of all ages. It’s a lot of fun, but Legoland went a bit overboard (ie. PSYCHOTIC) with the spraying water. Water water water and more water rains down from everywhere. And coupled with the massive bucket of water that dumps down ever few minutes, there is just SO much water raining down that it’s hard to see. It’d actually have been more fun – and easier to navigate – if they turn off most, if not all, of the water spraying jets. Still, the kids enjoyed the slides here! Apart from the Wave pool (which the kids loved bobbing up and down on), they absolutely loved the River. There is a light current in the river, so we chucked on life vests on the kids and they simply floated down the river. They had TONS of fun! It’s actually really relaxing and I liked this river more than the actual water slides. I think we went around the river about… 5 times each day? And even then, the kids were reluctant to get out. It’s a BIG hit! My three boys. Drenched, totally sunned out, and having SO much fun! 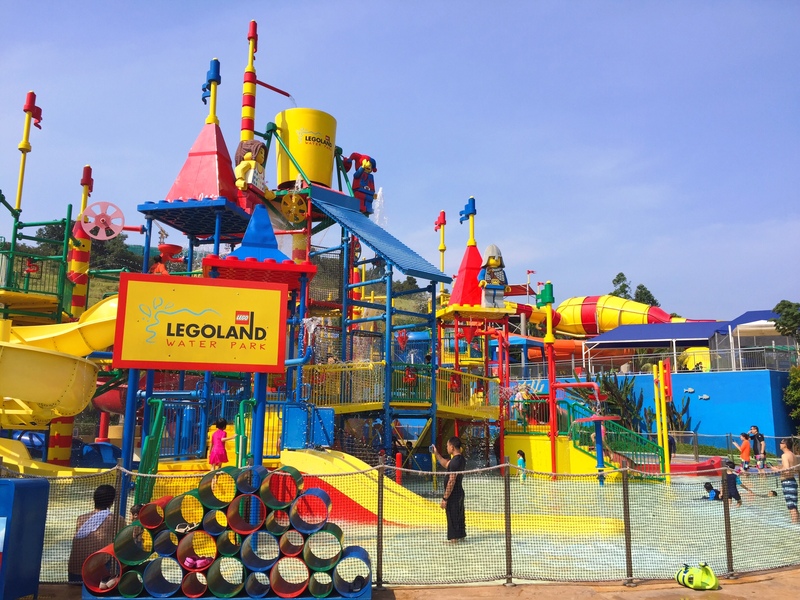 LEGOLAND MALAYSIA – awesome for little kids! 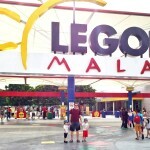 LEGOLAND MALAYSIA: totally immersed in the theme hotel! 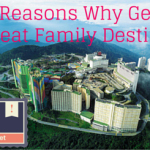 Previous LEGOLAND MALAYSIA – awesome for little kids! Next LEGOLAND MALAYSIA: totally immersed in the theme hotel! Beverly’s Net: family food fashion thanks! Looking to go on a Saturday … Hope the same trend applies!